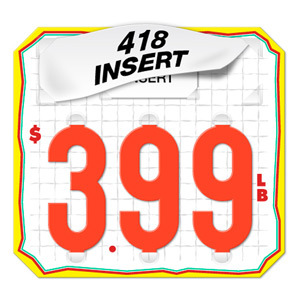 Features: Border, "$", decimal point and "LB"
Features: Border, grid background, "$", decimal point and "LB"
All 39 series tags will accept our 1½" numbers and #418VN or #S418 series product name inserts. 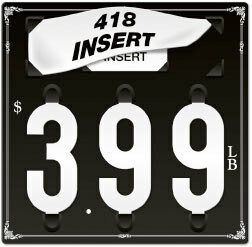 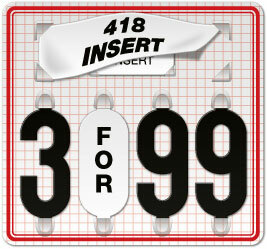 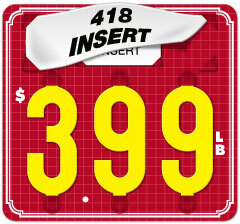 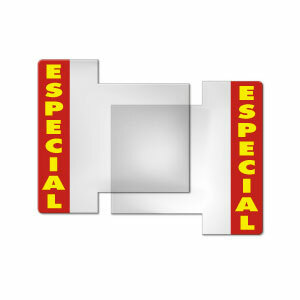 All T66 series tags will accept our 3" numbers, #650, #S650, #418VN or #S418 series product name inserts. 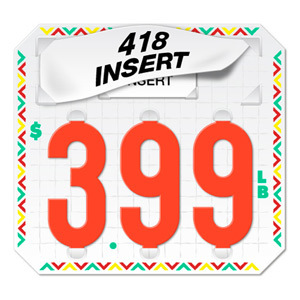 Made for use with a non-permanent marking pen or label maker. Intended for use with a non-permanent marking pen or label maker. 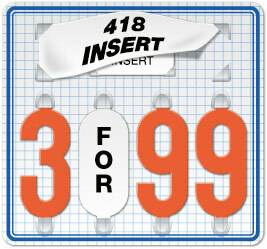 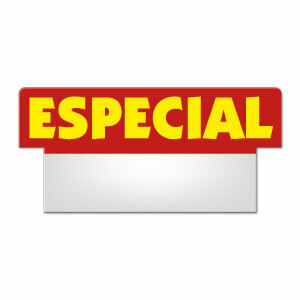 For use with P-Touch® labeling system or marking pen. 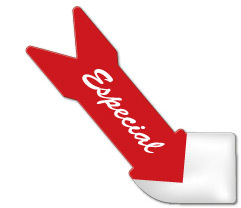 Click [Here] to see other slogans available.